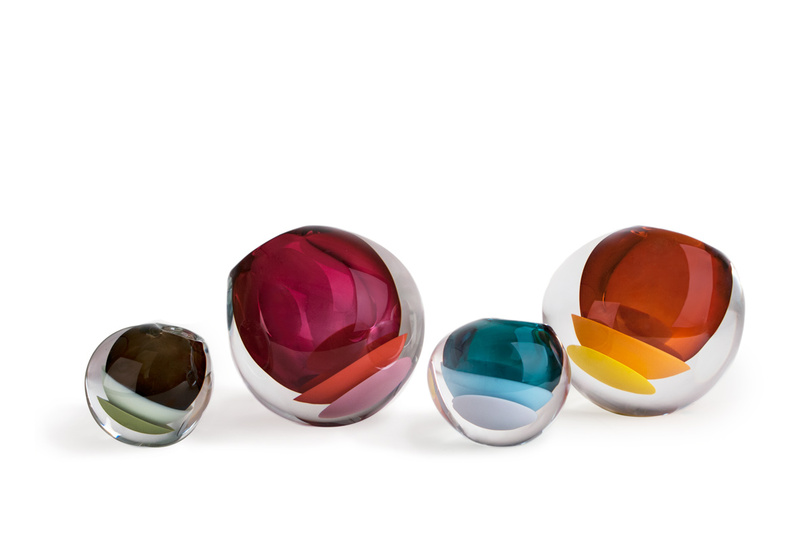 SkLO mantle vessels are organic spherical vessels with overlapping triple color schemes of two opaque colors cupping a third transparent color void. The colors are encased in thick clear Czech glass, giving the impression of the colors floating individually within the substantial form. Available in four color palettes.